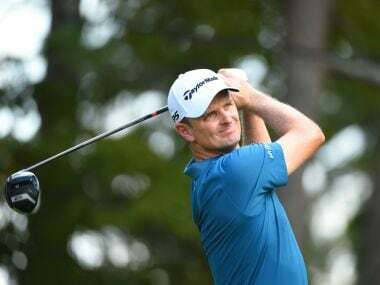 Antalya: Justin Rose seems to be playing near perfect golf, as he rolled off another 6-under 65 to open up a two-shot lead going into the weekend. That lead did not look likely till the events of the last few moments of the second round of the Turkish Airlines Open. Defending champion Rose shared the lead at 11-under with Thorbjorn Olesen, the 2016 winner here when both were on the 18th. Playing one group ahead of Rose, Olesen on the 18th green three-putted for a bogey and fell to 10-under while Rose birdied it minutes later to move further ahead to 12-under. One hole and a two shot swing put Rose two shots in the lead ahead of the weekend. A win would mean his first successful title defence and with it will come the World No 1 ranking. A win will also make Rose the first player to mount a successful defence of a Rolex Series title. Asked if in this form, the game almost looked easy, Rose smiled and said, "No. Even if it was, I would never admit to that. Clearly, I've been burned by this game many a time and you have to keep working hard. I'm trying not to get too far ahead of myself. I will wake up tomorrow and go from there. Every day I just try to build a new body of work and keep grinding." 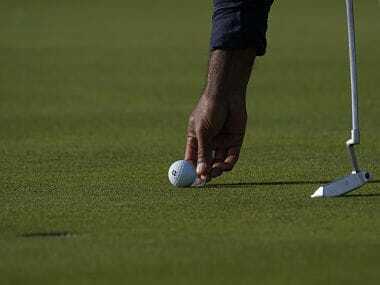 Meanwhile, India's young talent, Shubhankar Sharma was unable to convert his early chances and then lost his momentum around the turn to finish with a round of 1-over 72 and dropped to T-53rd at the halfway stage of the Turkish Airlines Open in the final series of the European Tour season. Sharma, who had a 1-under 70 on the first day is now even par for 36 holes and will need to get a couple of solid rounds to get his confidence back and also make a nice move up the leaderboard. Sharma said, "Honestly, it was not a very good round. I started off well, as I had birdie opportunities on the first three holes but did not take them. Then I made a silly bogey on fourth. It wasn't actually a bad shot, it landed next to the pin, which cut to the back. The ball went over the edge and had a tough up and down which I missed and made a bogey. I made a bit of a comeback with birdies on seven and eight and a had a good chance on ninth." 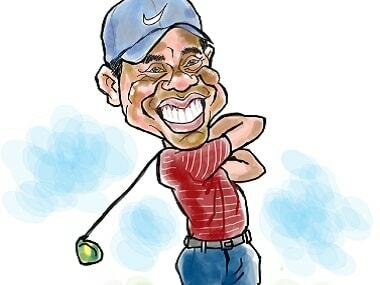 He added, "The three-putt on the tenth changed the momentum and then I had a short birdie putt on 11th, which I missed. I had a bad lie in the bunker on 12th and made a bogey there. On the back nine, I made bogeys on both Par-5s and that ended my round. All I all, I did not hit too badly, but I need to get the momentum on my side. Still, there are two more rounds to go, so there is a lot to play for." Sharma bogeyed both Par-5s on 12th and 16th on back nine. He did have a birdie on 13th but it was not enough to salvage the round. England's Tom Lewis fired the lowest round of the week so far with a 63 to get to 10-under alongside countryman and 2016 Masters Champion Danny Willett (65), and Danish Ryder Cup star Thorbjorn Olesen (67) who three-putted for bogey on the last while Rose birdied the same minutes later. Of the Asian Tour players, Kiradech Aphibarnrat, who was in the Top-10 till the 17th, had a crippling bogey on 18th and fell to six-under and T-17. Rose speaking of his round, added, "I got off to a good start again. I felt really comfortable out of the blocks today. I hit two nice iron shots to start the day into 1 and 2. I felt comfortable from that moment on and set me up for another good day." As for what is required at the Regnum Carya to do well, Rose said, "I think it's iron play to be honest with you. A lot of pin placements are up on shelves, off the side of these greens are a lot of run-offs but you have a wedge, 9-iron in your happening. If you get overly defensive, you're not going to make birdies, but you need to challenge some of those tough pin placements to try and shoot low around here. I think your iron play has to be on point. That's the key."